It’s been a few years since the F10 5 Series debuted, and that means it’s time for some changes. Big changes usually mean bad sales, and that’s something the 5 Series has not had to deal with. 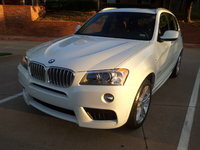 BMW rightfully calls it a global bestseller, with nearly 7 million examples rolling out of show rooms in the last 40 years, and the changes for 2014 reflect that attitude. Even the much-maligned GT has been doing well, although it does get a bit of extra attention designed to mitigate continued complaints about its prodigious posterior—but that’s reserved for another review (we cover the 5 Series Gran Turismo separately). The rest of the 5 Series lineup gets additional exterior styling changes to the kidneys, rear apron and lights, and the Sedan and Touring configurations get some extra air intakes in the lower front grille as well—all complying with European pedestrian safety standards. There are subtle interior changes and additions of course—white or orange ambient lighting, bigger cupholders and chrome trim for iDrive—but attention is needed elsewhere. To put it succinctly, we’ve got diesel! Finally, a diesel version of the 5 Series is back on our shores. That means you can forget the silly, wasteful and illogical Hybrid option and go for something that’s fun, practical and actually efficient: the 535d. Here you’ll find a turbocharged 3.0-liter straight-6 delivering 255 horsepower and 413 pound-feet of torque from just 1500 rpm—power that stays constant up past 5,000. Current estimates put efficiency at 26 mpg city/38 highway, which is astonishing for a car that’ll get you to 60 mph in just over 5 seconds. Not to mention the extra fun you’ll have tooling around in a car that delivers more than 400 lb-ft of torque at the slightest pressure on the accelerator, along with the inherent balance of a straight-6. There’s an upgraded 4.4-liter twin-turbo V8 in the 550i as well, which now shows up with 455 hp and can sprint to 60 in just 4.5 seconds. That’s a 45-hp increase over last year and a great compliment to the 480 lb-ft of torque it has on tap. The power increase is due to the addition of Valvetronic timing and that twin-scroll turbo, and it’s still capable of 17/25 when paired with the capable 8-speed automatic. Otherwise things stay the same with regard to powertrains, with the entry-level 528i getting a 2.0-liter turbo 4-cylinder good for 240 hp and 260 lb-ft of torque. It’s available only with the 8-speed automatic and gets you 23 mpg city/34 highway. If you want a manual, you’ll have to start with the 535i and its turbo straight-6. Here you’ll enjoy a matching 300 hp/lb-ft of torque, and if you pair it with the 8-speed, you’ll still manage 21/31 mpg as well as a trip to 60 that takes just over 5.5 seconds. A color display features the newest version of the ConnectedDrive infotainment system, which offers real-time traffic info and internet connectability as well as climate and media control through the touchscreen, obviating the need for the iDrive knob. Additionally, the rear-view camera's display shows here. But what would a BMW be without attention paid to the handling? Here, the 5 Series gets some retuned dampers BMW claims will provide increased comfort and reduced roll, as well as quiet things down a bit. They’ve also reworked the electronic steering and promise it’s even more precise than before. Of course, BMW wants to make sure you get the 5 Series you always wanted and offers a multitude of options for increasing the price—ahem, enjoyment—of your vehicle. Heated seats, automatic doors, park assist, 3 cameras, rear-seat entertainment and even night vision! In all, this is a big year for the 5 Series, despite the mid-cycle timing. Now is the time to grab that diesel and see what we’ve been missing all these years. 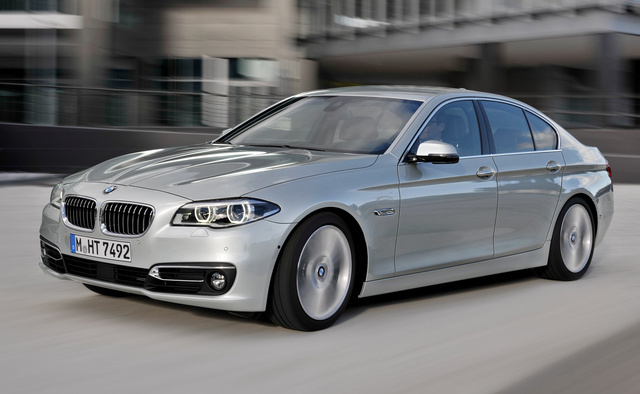 What's your take on the 2014 BMW 5 Series? David Bought a used 2014 528 and couldn’t be more pleased. Very smooth and accelerates quickly. It just feels solid!!! Users ranked 2014 BMW 5 Series against other cars which they drove/owned. Each ranking was based on 9 categories. Here is the summary of top rankings. 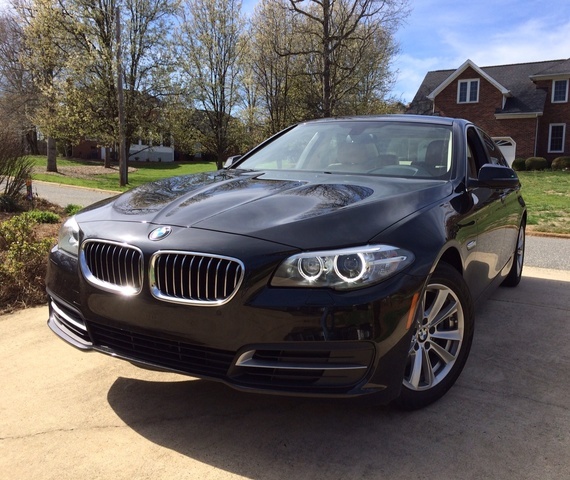 Have you driven a 2014 BMW 5 Series?